Zooming out of the tunnel on the train from Milan, Lake Como is laid out in front of you in all her spectacular beauty. 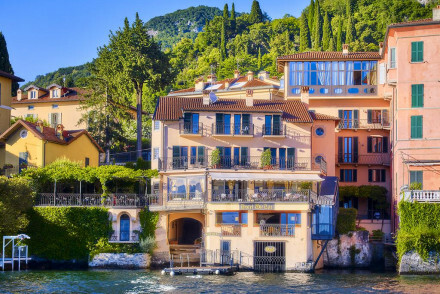 Beauty based not solely on natural assets - the pristine waters, the mountainous backdrop, the sprinkling of small islands - but also on the charm of the little towns surrounding it, many of which host the best places to stay in Lake Como. A lot of these towns are unspoiled by the area's popularity and many of the well dressed locals seem to prefer things to remain the same. In fact one of the charms of Lake Como is that despite all the visitors it receives, it still feels like a working region, rather than a tourist trap. The locals are friendly, not pushy. Lake Como's shoreline is dotted with pretty towns, including exquisite Bellagio, Laglio, Tremezzo and Menaggio, quiet old fishing village, Varenna, and centre of the region, Como and its close neighbour Cernobbio. 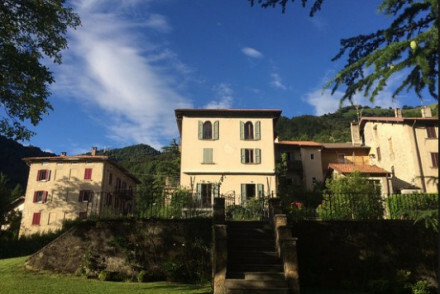 Lecco is Lake Como's other major town, but there are plenty of smaller hamlets worth considering if you're looking for lovely places to stay in Lake Como. We'd recommend you check out Blevio and Lezzeno. As well as its beautiful location, Como is also known for its Duomo, one of the best examples you can find of Gothic Renaissance Fusion, and for being the silk capital of the world. One of the highlights of any trip to Lake Como has to be a boat trip. Most ferry you between Bellagio, Varenna, Menaggio and Cadenabbia. Known as a hotspot for wealthy folks, Bellagio's glamour is so famous that it can be a bit overrun near the quay. But if you venture upwards, on the street which is all steps. you'll still find the old appeal. It's not impossible to do Lake Como on a budget, and Varenna is one of the best places to stay in Lake Como if you're watching your wallet. If you're looking for ultimate luxury and relaxation in a truly glorious setting, the Casta Diva Resort and Spa is one of the best. Naturally it's five stars and the two restaurants are excellent. It also has a wonderful floating swimming pool and a subterranean spa hewn into the rock of the shoreline. 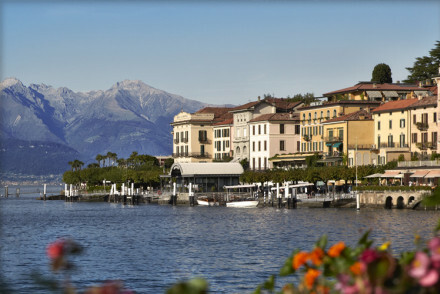 Bellagio’s opulent Grand Hotel Villa Serbelloni is an elegant grand dame with all the trappings of old fashioned luxury. Think doric columns, beautiful antiques, frescoed ceilings, grand sun terraces, spectacular lake views - of course - and a Michelin starred restaurant. They also have a private boat. 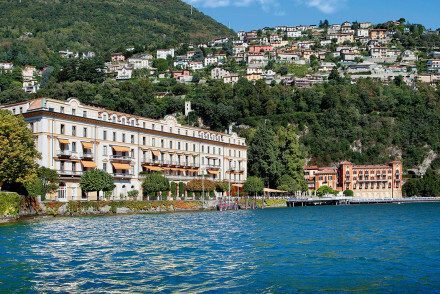 With views across to Bellagio, the supremely elegant Grand Hotel Tremezzo has 89 rooms right on the water’s edge and five stars worth of beautifully understated interiors. Plus generous sun terraces, an excellent restaurant and spa and parklands surrounding the hotel. One of the pools actually floats on the lake! 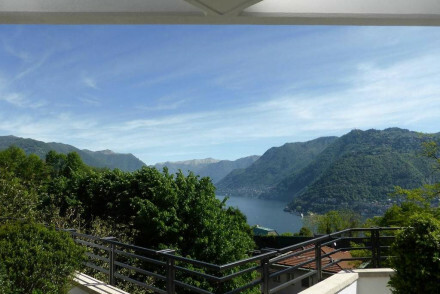 The Villa Lario is an all suite luxury property on Lake Como's shores. Here you'll find classic Italianate architecture with thoroughly modern interiors. There's just five suites and an independent villa, plus a private jetty, stunning infinity pool and restaurant serving modern Italian cuisine. A seriously stylish choice! Relais Regina Teodolinda is a six suite villa with breathtaking scenery all around. The charming accommodation oozes rustic-chic, whilst the property is surrounded by lovely gardens and boasts an outdoor pool. 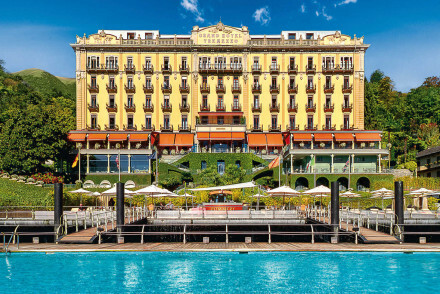 If you want to be right on the lake, take a look at the Villa d'Este. Villa d'Este is one of the more traditional five stars, the kind with grand state rooms, chandeliers, heavy fabrics, private balconies and private boats. 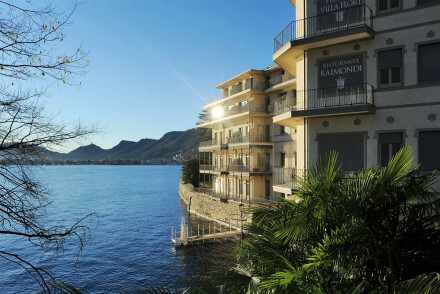 So if you want classic Lake Como grandeur and glamour, this will be perfect. 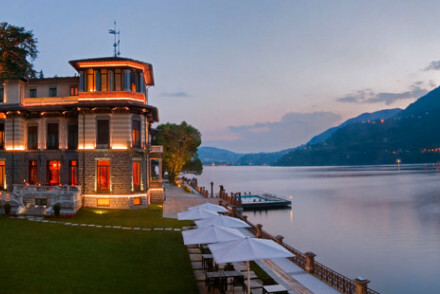 Like the Villa d’Este, Villa Flori is right on the water’s edge at Cernobbio. 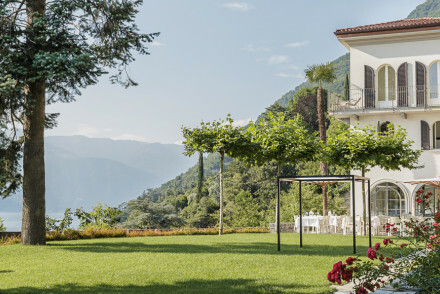 As well as the unbeatable setting, the Villa Flori has 52 contemporary chic rooms and suites, some with enormous balconies which hang out over the lake. Their restaurant offers alfresco dining from its Italian menu, plus there’s a lovely pool and spa. 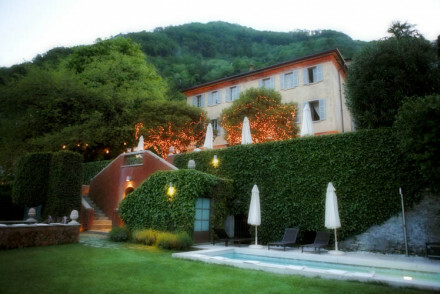 Or how about the Relais Regina Teodolinda in Laglio, which has gardens spreading right down to the water’s edge. There are just six suites, which have a relaxed, almost rustic charm with all the modern conveniences of course. 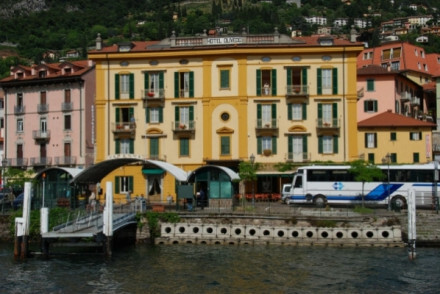 Varenna’s Hotel du Lac is also lakeside. Here you'll find sixteen comfortable rooms, some with balconies, and a shaded dining area overlooking the water. If you're looking for ultimate luxury and relaxation in a truly glorious setting, the Casta Diva Resort and Spa in Lake Como is perfect. Naturally it's five stars and the two restaurants are excellent. But it also has a wonderful floating swimming pool and a subterranean spa hewn into the rock of the shoreline. 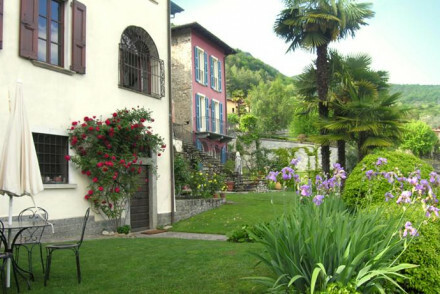 La Canarina B&B is a charming bed and breakfast in the heart of Como with just two simple, airy bedrooms overlooking a beautiful private garden just 200metres from the lake. The decor is classical, with wooden floorboards and antique wrought iron beds. The B&B Vista Lago is a quiet B&B just up the hill from Como. As the name suggests, the lake views are panoramic and especially enjoyable when viewed from your own private sun terrace. There are just three rooms in the B&B and it’s ideal for a romantic break. No children. Casa Contrada Bella has just three chic rooms with stylish interiors and two with small kitchenettes. It's perfect for a romantic break with no kids allowed and is just steps away from Varenna's bars and restaurants. Albergo Milano is a one of our picks for families. As well as 13 double rooms and one triple, they also have three apartments within the hotel, so there's plenty of choice. But in addition to the practical features it's also quite charming! Set amongst the whitewashed town it's got wonderful views from its very good restaurant. 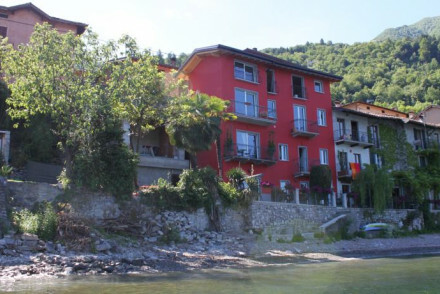 Set in a lovely location surrounded by flower-filled gardens in Varenna, Casa Del Portico offers five simple but comfortable rooms as well as an apartment. A scenic stay in a top spot. 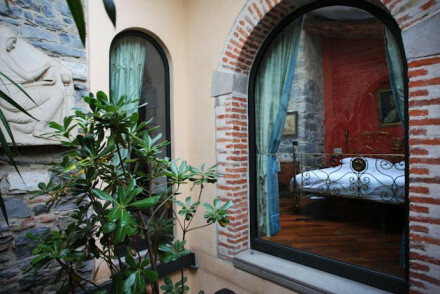 The Convento Sant'Antonio B&B is a converted convent just steps away from the Duomo in the hear of old Como. There are just three bedrooms/suites, decorated with fine antiques in amongst period features. Sightly off the beaten track you'll discover the delights of the Locanda Osteria Marascia. Situated in a quiet village just back from the lake the five rooms offers beautiful rustic chic interiors with oodles of original features. The fantastic cellar restaurant offers authentic Italian cuisine that has been honed over the years - the restaurant has been in the same family for five generations. 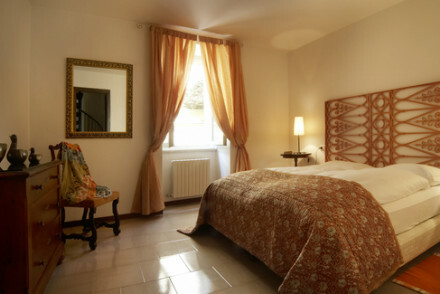 Rooms start from just €80 per night B&B. 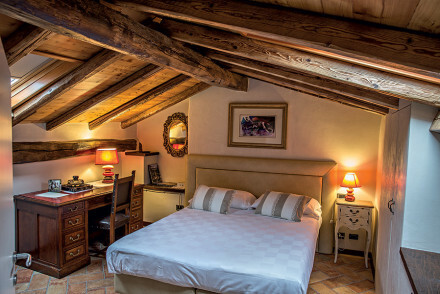 The 3-room Alpe Del Lupo is a chic stay, combining modern Italian furnishings with traditional interior features. It's ideal for groups as you can take the whole place to yourselves, whilst there's also plenty to do in the surrounding area. For sheer elegance, one of the best places to stay is Hotel Florence. Bellagio is sophisticated as well as 'A-List Preferred' even though this is far from one of Bellagio's top priced hotels (doubles start from only £130 per night), it still offers a gourmet restaurant, an excellent spa and private balconies from which to absorb every inch of the glorious view that you can. 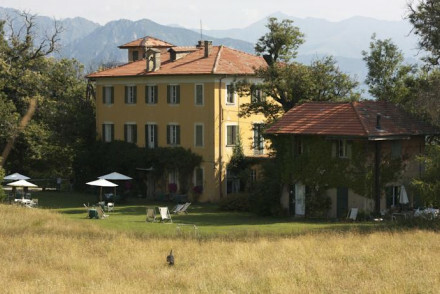 For a similar room rate, one might also stay in the Relais Villa Vittoria, in Laglio. A wonderfully romantic hotel right on the edge of the lake. As well as beautiful views, this hotel has 11 delicately sumptuous rooms, an excellent restaurant and peaceful terraces overlooking the lake. Perfect for honeymooners. 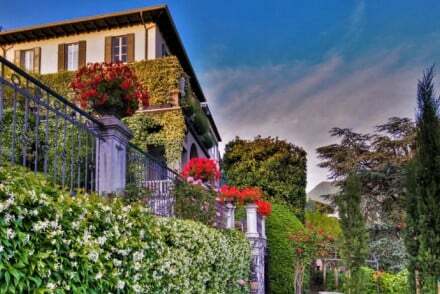 Owned by the same family for four generations, the Albergo Olivedo is a gorgeous ten room townhouse hotel right by the lake at Varenna. The decor is traditional with stone floors, pastel walls and private balconies. Family friendly and laid back, the Albergo Olivedo also has a lovely little Italian restaurant. Rooms start from around £90 per night. 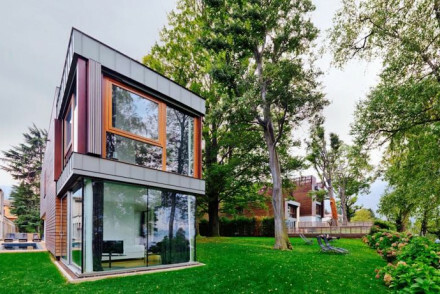 The Como Luxury Rooms are just two modern bedrooms in an ideal base in the heart of Como’s old town. Simplicity and comfort for around £80 per night. Lake Como is beautiful all year round. The most popular time of year to visit is summer. The weather in July and August is idyllic. Though there’s really little wrong with the weather between March and November. In winter the snow is beautiful and desirable if you want to head up to Switzerland and the alps? Widen the net and check out our recommendations for the best places to stay on Lake Garda? 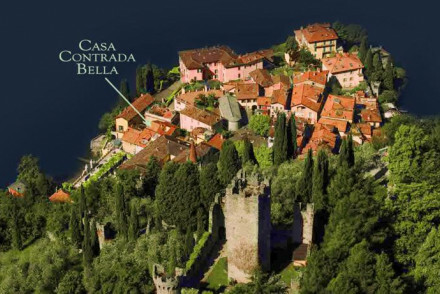 or the best places to stay on Lake Maggiore. 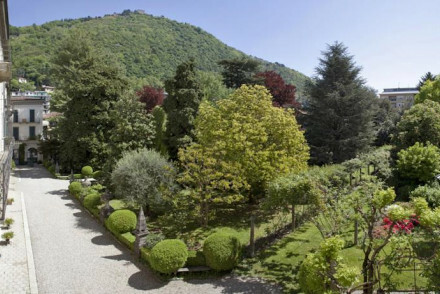 Set in a scenic garden of tall trees with panoramic views of Lake Como. This modern villa has chic, contemporary bedrooms with floor to ceiling windows decorated in a minimalist style. Guests are invited to treat this as their home - come and go as they please and enjoy the honesty kitchen. A charming lakeside hotel with 16 comfortable air-conditioned bedrooms - some with lake views and private balconies. The hotel has a peaceful terrace overlooking the lake with a lovely shaded dining area. A family run property and the number one spot to explore the local area. 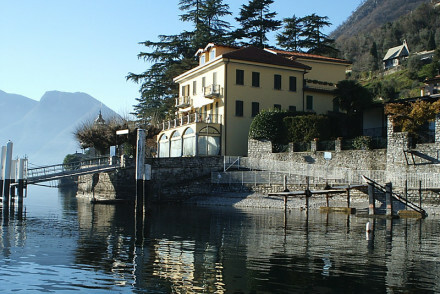 Situated on the very water's edge of Lake Como, this six suite villa enjoys breathtaking scenery. The suites manage to evoke the rustic charm and relaxed atmosphere once typical for holidaymakers of the past, while injecting the odd bit of modern spice with their furnishings. Sophisticated luxury. 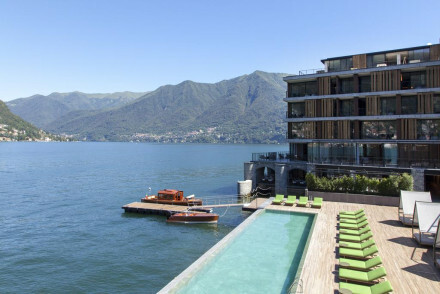 A super stylish design hotel with an outdoor infinity pool and private beach area on Lake Como. Bedrooms are decorated in cool earth tones with modern amenities and large showers. 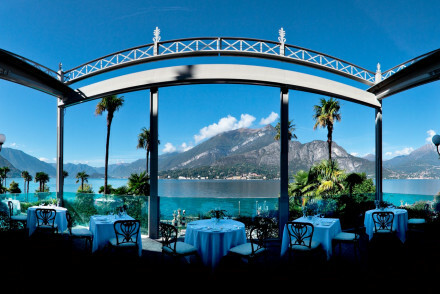 Restaurant with terrace overlooking the lake serves trad Italian fare. A chic spot in an excellent lakeside location.